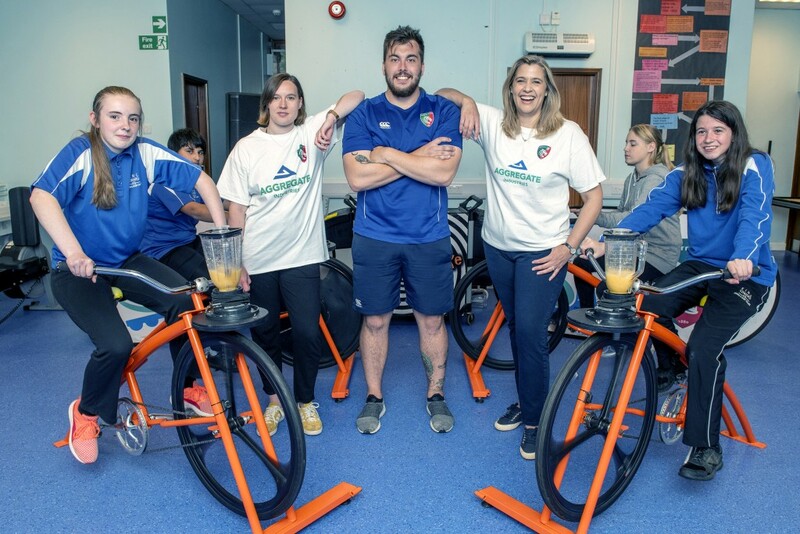 Aggregate Industries‘ and Leicester Tigers’ ‘Get On Your Bike’ campaign to get more Leicestershire school children healthy and active has continued, as they have recently been taught about the importance of nutrition and exercise. 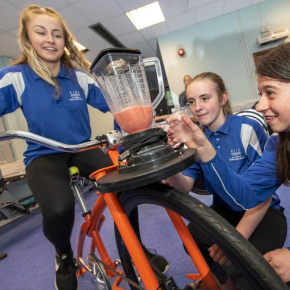 Pupils from King Edward VII Science and Sport College in Coalville enjoyed creating their own healthy smoothies by peddling away on a special smoothie bike. The idea of the smoothie bike is to promote a diet with plenty of fruit and vegetables, in tandem with a lifestyle full of activity. Taking it in turns, the pupils chose their fruit and vegetables, got on a bike and blended their drinks through peddling, getting to enjoy the fruits of their labour after! 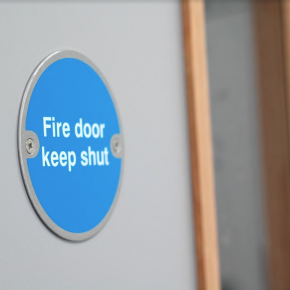 The last few weeks has seen Aggregate and Leicester Tigers go into schools throughout the county to talk about subjects ranging from ‘sustainability’ and how cycling can help the environment, to ‘cycle safety’ and how to stay safe whilst on the road. Donna Hunt, Head of Sustainability at Aggregate Industries, attended the session and said cycling not only helps with a child’s fitness but also helps the environment too. She also stressed the importance of a healthy and balanced diet and praised the concept of the smoothie bike in the process. Joe Reynolds, Rugby Development Officer at Leicester Tigers, who runs the schools programme, said it was nice to shift the focus onto healthy eating and the important part fruit and vegetables play in that, as opposed to solely covering rugby. Be sure to send your pictures or videos of yourself or your friends on their bikes to Aggregate’s Twitter – @aggregateuk, using the hashtag #getonyourbike.